To watch or not to watch? Let’s be honest; that’s not really a question. But with so much content to take in these days, how do you decide what to watch? Luckily, we’ve done the (hard?) work for you, scoping out the best movies and TV shows you should be watching this February. Sit back, tune in, and enjoy! 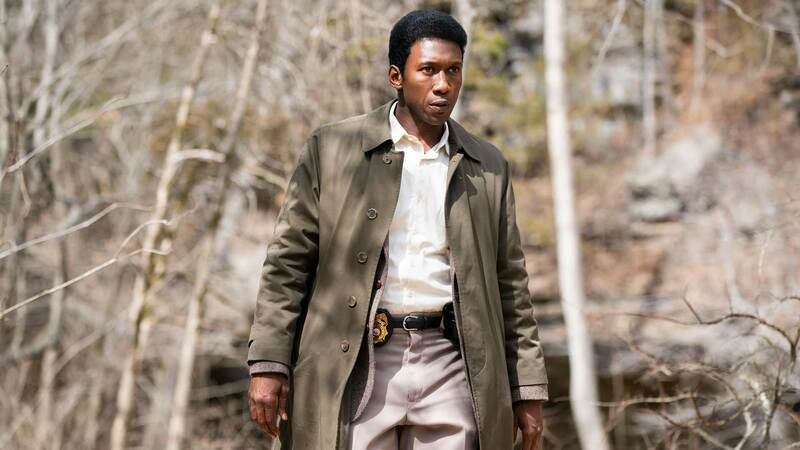 After some time away, HBO’s hit show True Detective has returned to television, this time with actor Mahershala Ali at the helm. Premiering on 1/13, the latest season is only a handful of episodes in. It’s hard to tell where the story will lead, but one thing remains true after each heart-pounding episode ends: Ali’s performance is not one to miss, with critics all over calling it “mesmerizing”. Few shows experience the lasting success of AMC’s hit The Walking Dead (complete with a spin-off series and a late-night talk show following each episode), so it’s safe to say that fans are eager for the show to return from its midseason hiatus. The highly anticipated second half of season nine will premiere on AMC on 2/10, and fans both old and new will want to tune in for this one. A twisted take on some Groundhog Day themes, this new Netflix Original Series finds its leading lady (portrayed by the ultra-talented Natasha Lyonne) living the same day – er, same party, really – over and over again. With each night ending in the character’s death (only to have her awake, unscathed, the next morning), this series is a wild ride from start to finish. Tune in, and see for yourself if you can figure out just what’s going on in this one. Based on the famous detective novel by Agatha Christie, The ABC Murders, this series finds detective Hercule Poirot (arguably Christie’s most iconic literary character) lingering between the two World Wars. Past his prime, the detective (portrayed by John Malkovich) must once again garner steam and solve a series of murders when he realizes the police have arrested the wrong man. If you’re into some major Sherlock Holmes, period-piece vibes, then this is the series for you. Ultra-popular and full of surprising talent at every turn, The Voice returns for its sixteenth season on 2/25 on its longtime home network, NBC. Watch as famous vocal talents such as Adam Levine and Blake Shelton fight to coach the nation’s most talented rising stars through a season of blind auditions, battle rounds, and show-stopping performances. Also, don’t forget, X1 customers can use their X1 Voice Remote to participate in the voting rounds of The Voice. Premiering on HBO on Saturday, 2/9, this Focus Features documentary gained fame during the 2018 Sundance Film Festival, where it garnered overwhelmingly positive reviews. The documentary follows the creative life of acclaimed TV legend Fred “Mister” Rogers, from his hit PBS show, to his active political presence during a time in which public broadcasting faced the fires of disgruntled network executives, and beyond. As if Deadpool 2 wasn’t raunchy enough, the uncut version of this whacky, Marvel fan-favorite premieres on HBO on Saturday, 2/16. Starring actor and pop-culture icon Ryan Reynolds as Wade Wilson (AKA, the ironic sort-of-superhero “Deadpool”), this one is a riot from beginning to end. Back to his old “merc with a mouth” ways, Wade must find a way to protect what he loves and foster new friendships through time-jumps, a bout with cancer, and (of course) a constant stream of insults from his old pals. Strangely heartwarming and definitely hilarious, Deadpool 2 is sure to thrill. Coming to a small-screen near you on Friday, 2/8, High Flying Bird is a Netflix Original Film from director Steven Soderbergh (director of box office hits such as Oceans 11 and Logan Lucky). Following the plight of an NBA rookie and his (perhaps overeager) agent, this film is all about finding your own kind of justice in a warped, powerful system. If you like Soderbergh’s brand of poetic justice, then this film is for you. With so many great films and TV shows premiering in February, you might just be alright with winter lasting a little longer (because hey, it’s a great excuse to stay inside and binge-watch your heart out). Tune in to all these titles and more with X1, your one-stop destination for all your film and TV needs. Watch all your favorites. Anytime. Anywhere. Get the entertainment you love anywhere, on any device with Xfinity Stream app. Included at no additional cost, exclusively for Xfinity TV customers.